When looking at replacement windows for your home, it can be difficult to decide which styles may be best for you. 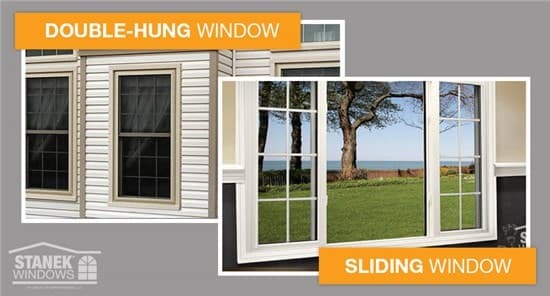 In this blog post, we will explain the main differences between a sliding window and double-hung window, and discuss the ideal placement for each window style in your home. Sliding vs. 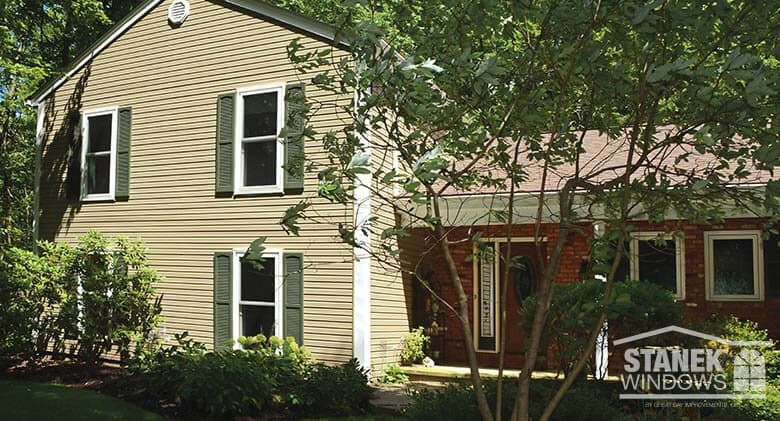 Double Hung Windows: What’s the Difference? Often referred to as a slider or gliding windows, sliding windows have sashes that slide either left or right in a single frame. A two-lite sliding window has two independent sashes that slide horizontally. Both sides of the window can be opened at the same time, which allows for optimum ventilation throughout your home. The slim, vertical lines give the window a clean, elegant look that also gives you maximum visibility of the outdoors. Stanek sliding windows feature dual brass rollers and fully-integrated lift rails that allow for smooth operation for the life of your windows. Stanek sliding windows also use full-length FlexScreen, which is the world’s first flexible window screen that is virtually invisible, allowing for unobstructed views of the outdoors. 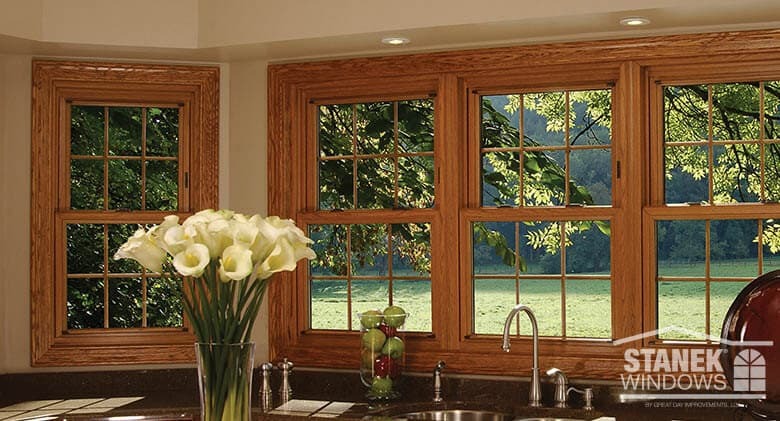 Stanek also offers a three-lite sliding window configuration that has two independent sashes on either side of a fixed center sash, which is best used as a picture window. Double-hung windows have two sashes in a single frame; both capable of sliding up and down independently for greater ventilation. The automatic tilt-in sashes on the top and bottom of the window make cleaning stress-free. 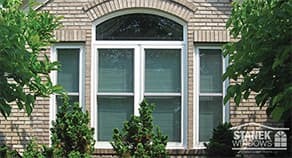 This window style features custom-tuned balance systems and fully-integrated sashes, which allows for smooth operation. Stanek double-hung windows have triple window seals and multiple bulb seals that provide one of the best air infiltration ratings in the in the industry. This window style also features full-length FlexScreen, which allows you to effortlessly remove the screen for easy cleaning. What is the Best Placement for Each Window Style? Sliding windows are best used for window openings where the width is greater than the height. They are typically found in rooms that need maximum ventilation, where an unobstructed view is desired. Sliding windows are also common in areas that are hard to reach, such as above a kitchen sink or behind a garden or soaking tub. 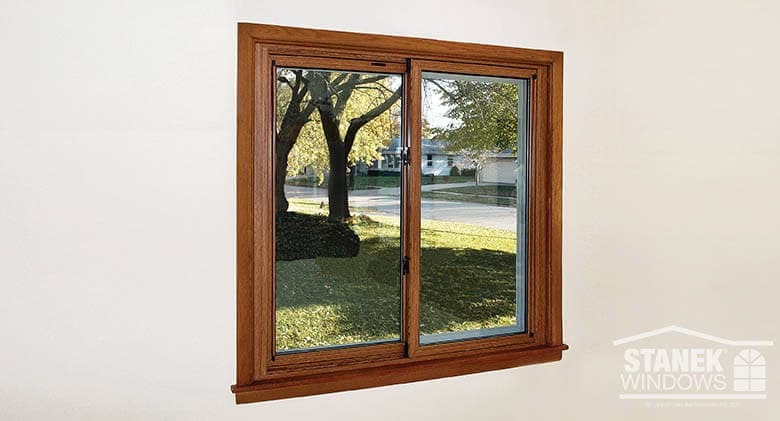 If you’re looking to add a focal point to your space, sliding windows are also perfect as picture windows in living or dining rooms, while still providing the option for ventilation. Double-hung windows are best used for window openings where the height is greater than the width. The window sash remains flush with the wall when the window is open, which makes double-hung windows a great choice for areas open to walkways, patios and decks. Because of their low-profile design and ease of cleaning, Stanek double-hung windows can be placed almost anywhere in your home. Their versatility also makes them our most popular window style. No matter which window style you prefer, it’s important that you choose a replacement window company that you can trust. 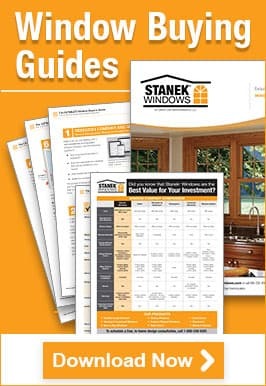 At Stanek® Windows, we manage the replacement window process from start to finish. We design, manufacture, install, guarantee and service our windows, which gives you peace of mind during the purchasing process. We also offer financing options to ensure your window project fits comfortably in your budget. Each of our windows is also custom built to meet the specific size of your window opening. Additionally, Stanek Windows offers multiple energy-efficient glass options that provide superior performance, saving you money on energy bills. Stanek offers unlimited custom exterior color options, allowing you to perfectly match the color of your home. If you’re looking to further customize your windows, consider adding designer glass such as privacy glass, tempered glass or etched glass to your windows. Stanek offers multiple glass etching styles and grid patterns, providing endless ways to make your windows as unique as your home. Do you need help deciding which type of replacement window is best for your home? The experienced professionals at Stanek Windows will work with you to find the perfect fit for your budget and needs. Schedule your free, in-home estimate today to get started.